Innocent people are dying. Who will be next? 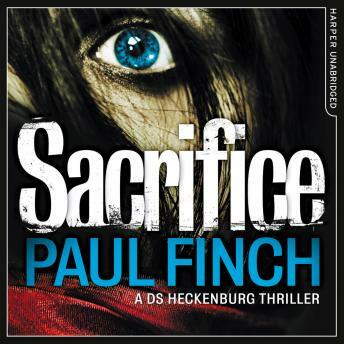 Find out in the second Detective Mark 'Heck' Heckenburg from #1 ebook bestseller Paul Finch. A vicious serial killer is holding the country to ransom, publicly - and gruesomely - murdering his victims. When a man is burnt alive on a bonfire, it seems like a tragic Guy Fawkes Night accident. But with the discovery of a young couple on Valentine's Day - each with an arrow through the heart - something more sinister becomes clear. A 'calendar killer' is on the loose. Detective Mark 'Heck' Heckenburg is up against it. With a rising body count and the public's eyes on him, Heck must find the killer before he executes more victims. Because this killer has a plan. And nothing will stop him completing it. A heart-stopping and grisly thriller that will enthral fans of Stuart MacBride and Katia Lief.